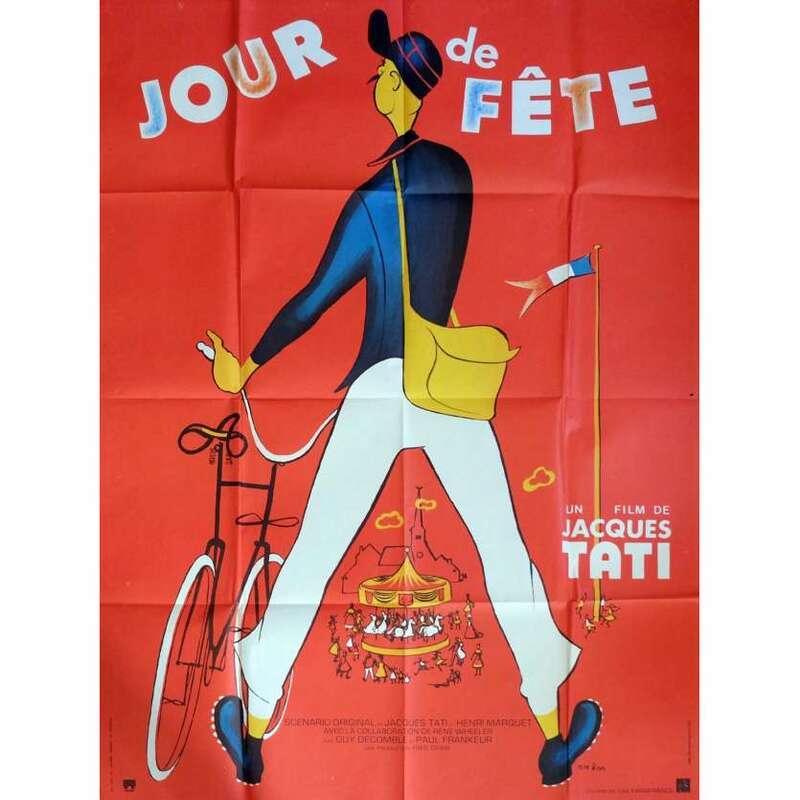 Original Vintage Theater-Used French Folded Movie Poster of Jacques Tati's Jour de Fete. Measures 47x63 inches approx. Illustrator : René Peron. Condition : Very Good (C6) Pinholes, Folded by the Printer. R1973.